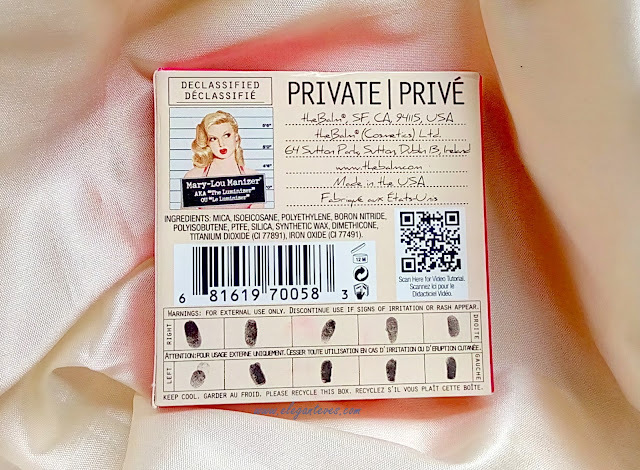 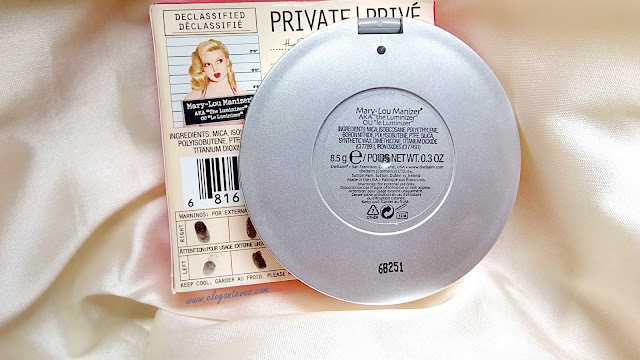 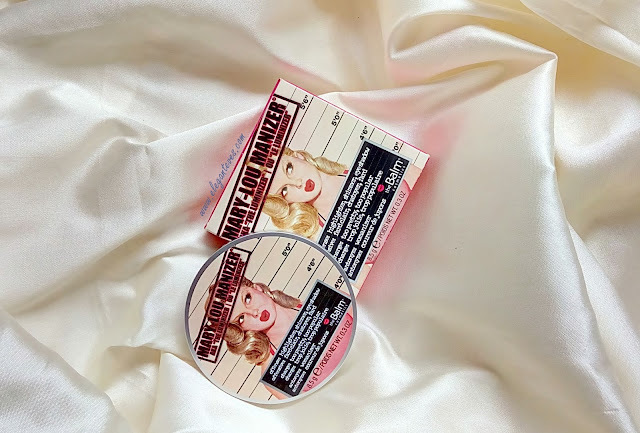 Packaging: Like all other Balm products, Mary Lou Manizer also comes in a quirky packaging with a pan featuring “Mary” whose “crime” is being “too pretty” or “too popular” :D You can even find fingerprints on the back of the outer carton like some crime records they keep in police stations. 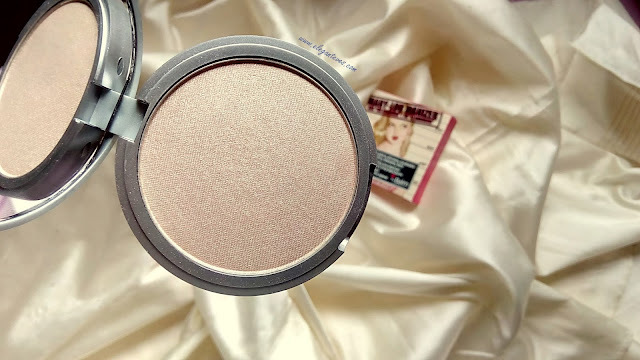 The pan clicks shut nicely and that makes it travel friendly. The mirror inside is of extremely good quality. 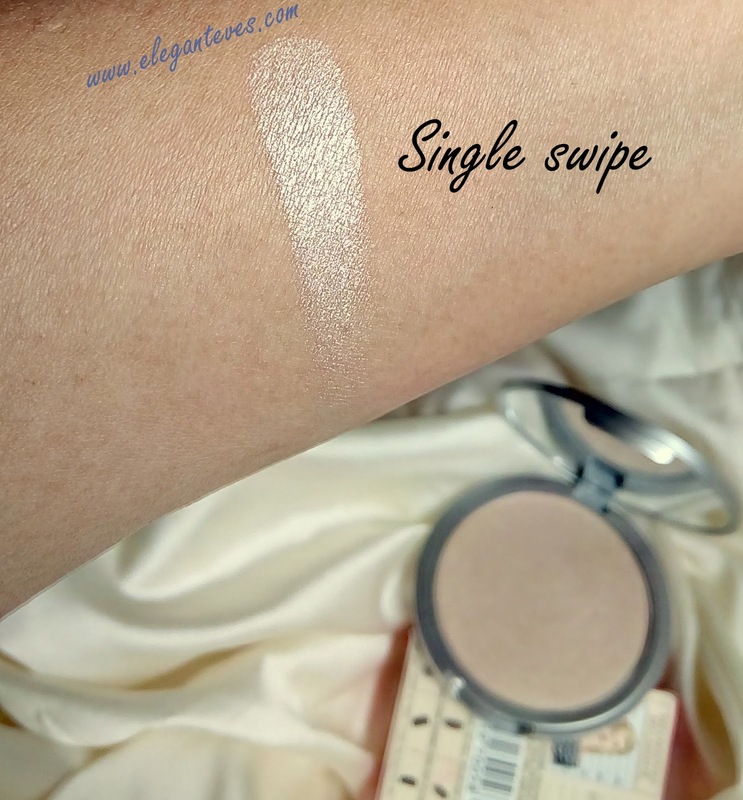 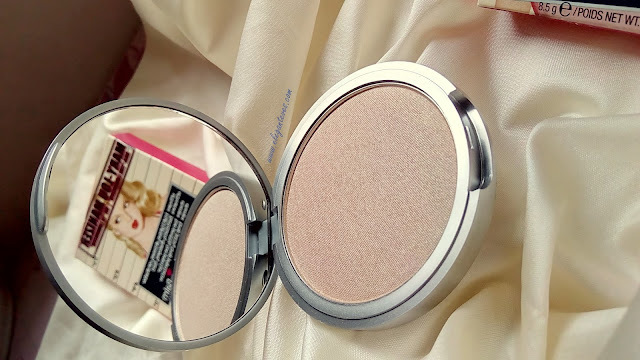 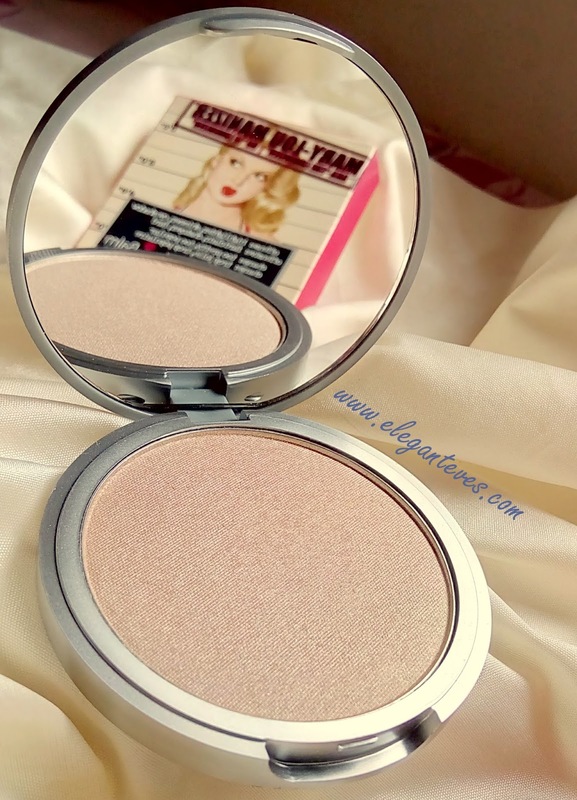 My take: It was a love at first sight for me: The powder is a gorgeous champagne gold which does not look much shimmery on the pan (no gritty glitters). 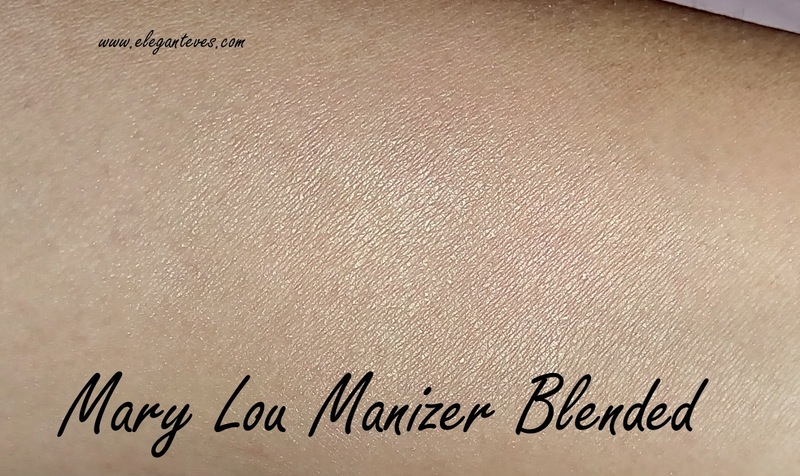 This shade would suit warm toned skins beautifully and work across many complexions except very pale cool toned complexion. A close friend of mine from Britain who has pale skin says the gold is too much on her skin. 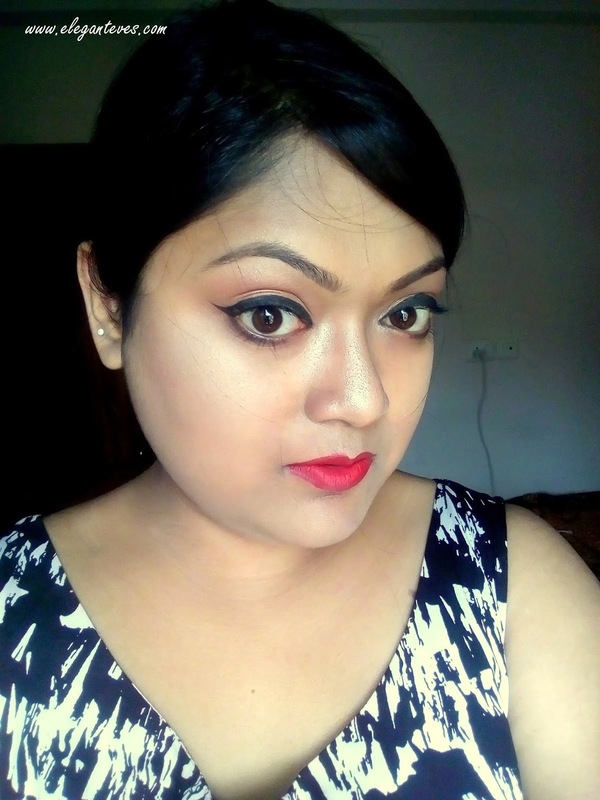 But I see this shade suiting most of the Indian complexions. 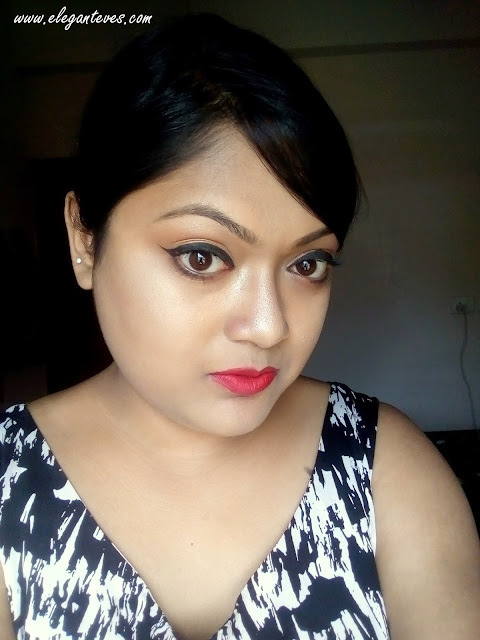 There is no fragrance and the highlighter stayed on my normal-dry face for the longest time ever- 8 hours! 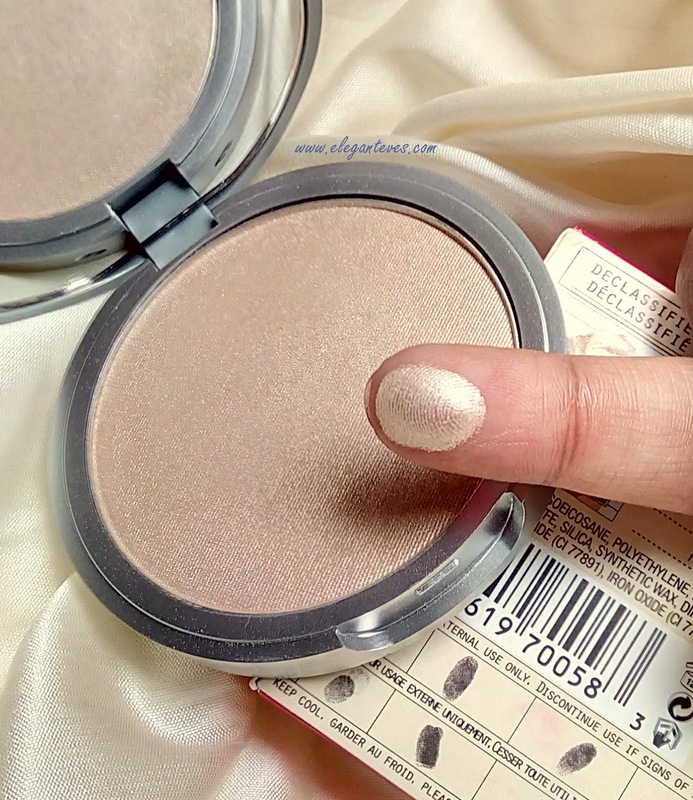 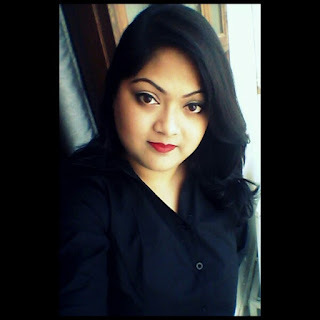 (yes, I was wearing this highlighter the whole day which explains the delay in posting this review). 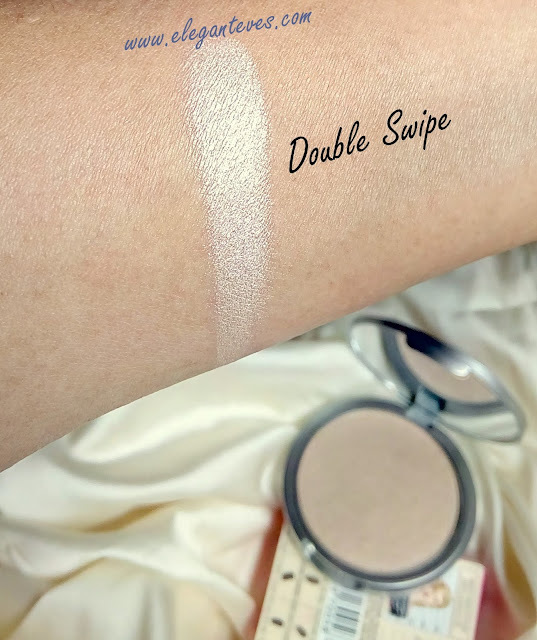 Have a look at the swatches.